A great-great-grandfather of mine was a Minister in the Church of Scotland. I sincerely hope that it was the rugged independence and fearless striking-out tendencies of the Scottish persona, and nothing to do with any failings he may have had as a Victorian pater familias, that caused umpteen of his hordes of sons and daughters to scatter to the far corners of the earth. A daughter, her husband and their new-born son set sail for New Zealand in what the internet reveals to be the tiniest, most fragile craft ever built. 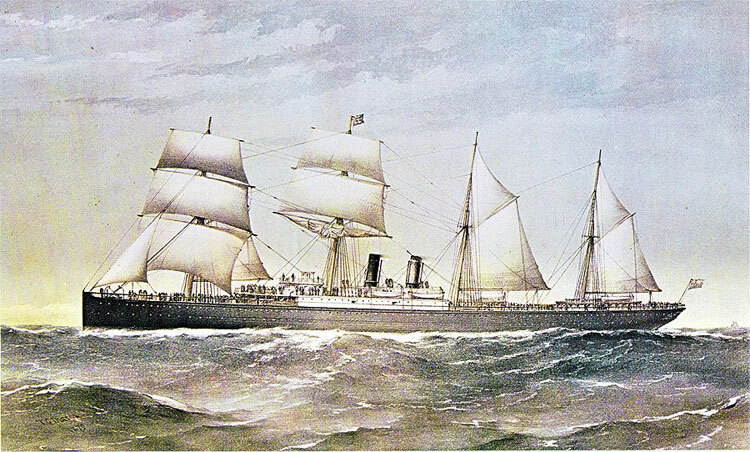 The ship and its passengers survived; they arrived on South Island and flourished, and if you are a Davidson or a Low and a sheep farmer in New Zealand then we are probably cousins. Another son of the Manse became a doctor and in his middle age volunteered for the Royal Army Medical Corps for the duration of the Great War. I feel that I know him a bit, not least as the author of a simply wonderful letter in the family treasury in which he declares, ‘I would rather Jeanie embraced no Church at all than that of Rome’ (you do really need to read that with a full Scots accent to appreciate it fully). But I also know him, or can hear his voice at least, because he published his diaries of his experiences at Gallipoli. 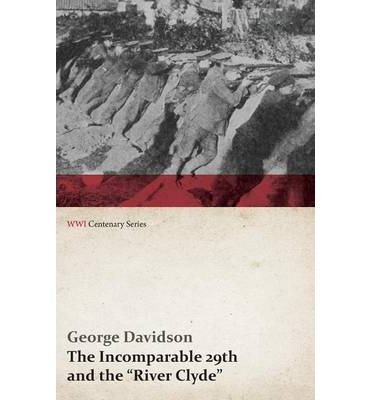 The Incomparable 29th and the ‘River Clyde’ by Dr George Davidson, MA, MD, Major RAMC, is not in print, but you can find an extract from it here which gives a flavour of the man and of what happened on the Turkish coast in 1915. There has been a lot of publicity this week about the coming together of the six Victoria Cross medals earned ‘before breakfast’ on the first day of the landings. Dr Davidson (or Uncle George as I cannot help but think of him) witnessed the whole thing and wrote about it with his customary clarity and compassion, and his book, I have learned, is thought of as the classic account. After the War, he returned to general practice and went on being the sort of keystone of the community that AJ Cronin immortalised as Dr Finlay in Country Doctor. It is too easy for us in this hemisphere to think of Australia and New Zealand as more or less the same place, our ignorance overlooking the two thousand or so kilometres that separate them. They are not the same place, they do not have the same history and (hurray) they have produced different literatures. Australia first. Who shall we single out from such a wealth of novelists and poets? Here are three. Stella Franklin was, at various times in her life, a nurse (she was at the Scottish Women’s Hospital in Serbia during the First World War), a housemaid, a secretary, a journalist and a campaigning feminist. She was also, using the name Miles Franklin (Miles was a family name but she does appear to have been echoing the Brontë sisters and Marian Evans’ doubts that the market would welcome a woman writer), the author of My Brilliant Career. This, her first novel, has rightly become an icon of Australian self-identity. It opens with an address to ‘my dear fellow Australians’. This week of Anzac commemorations, it is easy to get the impression that Australian identity was entirely forged on the blood-drenched shores of Gallipoli, but a clear sense of Australian-ness was being expressed fourteen or fifteen years earlier. We must have Patrick White on this week’s bookshelf too. Australia’s first Nobel Laureate for Literature (and twice winner of the Miles Franklin Literary Award), White was not, it would be fair to say, anyone’s idea of the stereotypical Australian male. Bitchy, petulant and reclusive, his novels, short stories, plays and poems are dense with metaphor and complex structures. Neither Voss nor The Eye of the Storm are light reading, but they reward hard work with important reflections on what it is to be human; flawed, vulnerable and contradictory – perhaps rather like the books themselves and their author. My third Australian for this week is the poet, Les Murray. His work divides critics, many of whom simultaneously celebrate his brilliance and worry about his illiberal views. Do you know, I shilly-shallied for quite a while before recommending his poetry to you, before I recognised what I was doing: censoring views I don’t much like. Make of his opinions what you will, but get to know his work, which is wide-ranging and technically dazzling and has led to him being tipped as a future Nobel Laureate (now that should provoke some lively debates). And my New Zealanders? 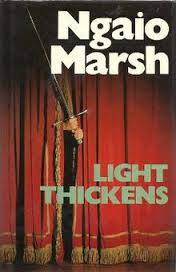 From a roll-call particularly rich in women writers, I am choosing Katherine Mansfield and Ngaio Marsh. Mansfield is regularly cited as one of the key figures of Modernism, and her short stories are fabulously experimental in shape and style. She freed the genre from the need to have a conclusion, showing us readers how powerful a story can be that poses questions and leaves us with them. She was another writer who provoked strong reactions, both to her work and to her personality. DH Lawrence – ever the charmer – once wrote to her, ‘You are a loathsome reptile – I hope you will die.’ (no, no, come off the fence, Bert … ). Altogether an easier person to be with was Ngiao Marsh, who is best remembered in the northern hemisphere as one of the Queens of the Golden Age of Crime Fiction. Her gentleman detective, Roger Alleyn, was a credit to Scotland Yard throughout his long career, appearing in thirty-two novels over almost fifty years, and I would rather spend time in his company any day than with M. Poirot. But in her native country, Dame Ngaio is at least as well remembered as the formidable godmother of New Zealand theatre. When she was a young woman, there was no professional theatre in the country, and her tireless work with student actors pretty much conjured out of nothing a fully-functioning, vibrant Shakespearean theatre with an audience to match. Several of the highly enjoyable Alleyn stories are set in theatres or among actors – always such a dodgy lot, don’t you think? Try Enter a Murderer, Death at the Dolphin or Vintage Murder, which has the added attraction of being set in New Zealand. This week, when we try to imagine what it was like at Gallipoli, listen to June Tabor’s haunting delivery of Eric Bogle’s great song, And the Band Played Waltzing Matilda. And join me, if you will, in contemplating the bravery of men like Dr George Davidson.